In search advertising on Google, less-known brands benefit from top positions a lot more than well-known companies. At least that’s the conclusion on click-through rates from a Stanford research study released in 2015. “If it’s Amazon.com versus a small retailer, the Amazon ad is likely to catch our attention at any position because we recognize the brand,” says Stanford business Professor Sridhar Narayanan. “Whereas a small advertiser with weaker experience with consumers benefits much more from being in a higher position,” he explains. Sometimes, there’s no effect from ad positioning. Dr. Narayanan and Santa Clara University Professor Kirthi Kalyanam conducted the study (Position Effects in Search Advertising: A Regression Discontinuity Approach). A lot of marketing money is at stake. Advertisers spend more on paid search than on any other channel – more than $18 billion in 2013. Another insight: Your ad investment doesn’t determine where Google inserts your ad. Just as it does in ranking Web sites, Google uses a “quality score” in deciding where to place your ad. “If Google expects more people to click on a particular company’s ad, [that ad] gets a higher quality score,” explains Professor Narayanan. So it’s difficult to determine the reasons why an ad gets a lot of users’ attention. The researchers were allowed access to Google’s data. They studied four consumer product retailers, but were not permitted to divulge the names of the companies nor their product categories. A 50-year-old nationwide company had acquired the other three. But after the buying the companies, the four continued to use different marketing approaches. The professors looked the companies’ bidding history, ad positions, click-through rates, sales numbers, and Google quality scores. They used “regression discontinuity” as a tool to analyze the ads’ positioning. Your ad investment doesn’t determine where Google inserts your ad. Just as it does in ranking Web sites, Google uses a “quality score” in deciding where to place your ad. The most prominent ad positions: The first ad on the right of the page and just below the search box. The ads inserted just below the search box were the most popular. Both locations benefited from 20 percent higher click-throughs than the ads inserted below them. But there was no difference between the second and third positions. “This is important because these advertisers were paying much more for position two than three, yet they were getting no increase in clicks,” says Professor Narayanan. There was a difference, though, between the third and fourth positions. The third position attracted 10.7 percent clicks. Why? The third position is situated adjacent to the right of the first organic link — where many users read first. If your ad appears just below where the Internet user starts to scroll down, you’ll experience more clicks. Such ads are in positions five, six, seven and eight. Ads in position five or six receive 16.7 percent more clicks. Moving your ad from position seven to six received 19.5 percent more clicks. But there was no benefit in moving from eight to seven. Again, higher positioning isn’t always the best investment. But relevance and quality of copy are. What are the Secrets for Success in Advertising? Creating 5 Perceptions — There is evidence that links advertising quality and execution to making the cash register ring, and it shows creative counts more than the media plan. By Watching Digital Marketing Trends, We Can Best Choose Priorities — True, marketing has evolved rapidly in the last quarter century. And yes, it’s important to be mindful of trends, especially in digital marketing — good and bad. 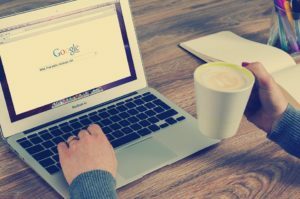 4 Best Practices to Enhance Your Google Ranking with Digital Content –There are four best practices if you want strong ranking from Google’s search rank algorithms, higher click-through rates and more social sharing from your content and press releases. That’s according to the Ranking Factors Study from Searchmetrics. The study shows the four practices improve message visibility and campaign results on the Internet. 8 Ways to Get Transparency from Your Retargeting Campaign — If you’re a major advertiser, you probably use behavioral remarketing or retargeting strategies. That’s to reach prospective customers based on their Internet searches, if they leave your Web site and don’t buy from you. Other firms use retargeting to purchase advertising. Basically, retargeting is accomplished by using a cookie or pixel, to show banner ads to Internet users. But transparency is a significant problem for advertisers. How Mobile Strategies Are Most Effective with Cross-Channel Marketing — Businesses are increasingly using mobile apps to sell products, but the most successful know how best. They use cross-channel marketing tools.